UPDATE: REGISTRATION IS NOW OPEN FOR OUR NEXT SKILLZONES. SCROLL TO THE BOTTOM OF THE PAGE TO BOOK A PLACE. The TotalHealth SkillZone is a one-day Connacht Rugby camp designed for both boys and girls over a range of ages. The focus of the day will be small sided games which will be fun and fast flowing. 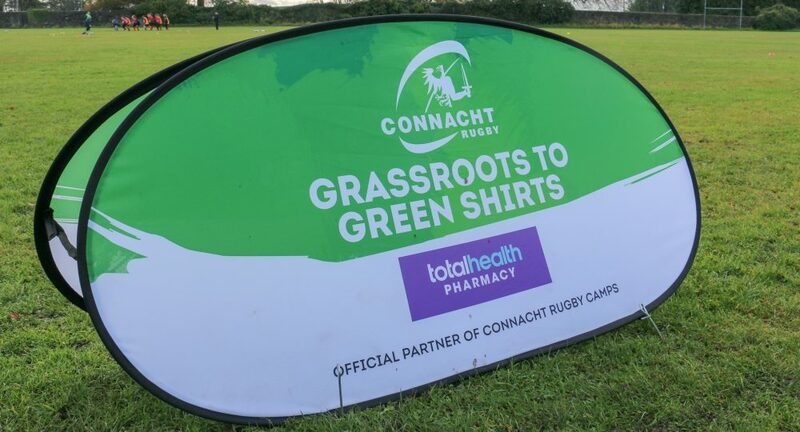 The events are run by Connacht Rugby staff who are IRFU accredited coaches and are also involved in both the Regional and Interprovincial squads. So far this year SkillZones have been held in Ballinrobe, Claremorris, NUIG, Gort, Westport and Ballymote. Now we’re delighted to share details of three more SkillZones in Connemara, Sligo and Manorhamilton in the coming weeks. Details are below! The SkillZone begins at 9.15am and concludes at 1pm.